Technology can be defined as a broad spectrum which covers an unexpected and unimaginable plethora of innovation. The rapid growth of emerging technologies has created an urge of competition among start-ups, entrepreneurs and enterprises. The development of AR and VR apps have become trendy in recent times owing to its engaging and interactive advantages. 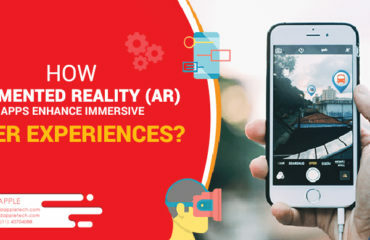 As per market reports, Augmented Reality has the power to enhance consumer experience along with attracting new prospects. The market for AR is expected to reach a mark of 80.9 billion USD in 2022 as compared to 2.6 billion USD in 2016. 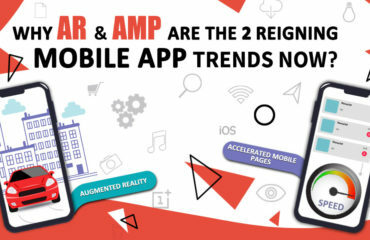 You need to look for a reputed AR app development company to know more about its implications in the business industry. 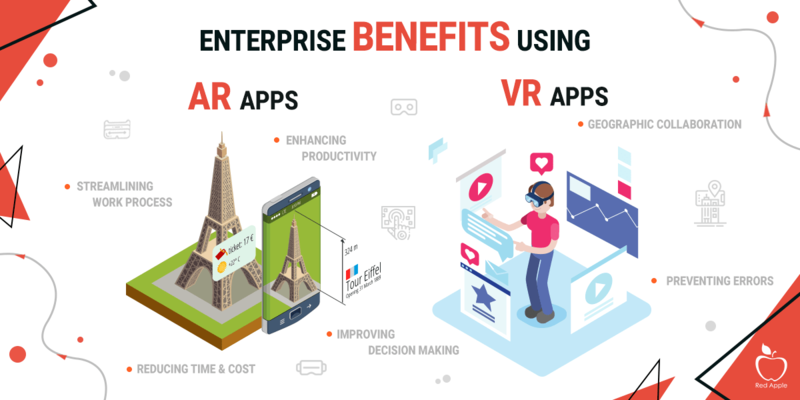 This post will help you to know how the enterprises can transform their business processes using AR and VR apps. 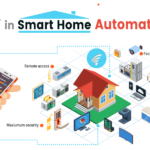 With the growing competition in recent years industries are looking for innovative ways to increase their customer base and uplift their business strategies. In other words, to cope with the fierce competition companies are resorting to digital platforms to stay ahead. 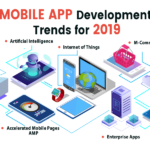 Apart from being popular in the entertainment industry, AR and VR apps are in demand with other domains of business such as e-commerce, healthcare, automotive, real estate, education, IT, fashion etc. Advantages of AR and VR apps are limitless. For instance, companies can use the collaborative VR space to design machinery so that collision issues can be avoided. To safeguard the interest of consumers, employees and the productivity of the companies, VR and AR apps are majorly used. The main areas on which AR and VR apps focus include real time information overlay, marketing, entertainment, theft protection, B2B sales etc. Collaboration and Guidance: This is one of the most promising advantages provided by VR and AR apps in today’s business industry. In fact these apps can act as a guide or a helping hand for the employees. People working in factories are the most benefited ones using these technologies. Although it can sound like a science fiction movie, head mounted displays or smart glasses can facilitate workers to perform manual tasks with ease and accuracy. Devices with AR and VR apps maps, instructions and even real time feedback to workers. This it enables them to perform with utmost precision. Apart from this, people working in remote areas can also be guided and their problems on high technicality issues can be resolved. Some key sectors where you can find applications of guidance and collaboration are nuclear sectors, oils and gas industries, discrete manufacturing, aerospace etc. Companies using these technologies can reduce risk factors involved. For example, Boeing engineers use smart glasses instead of manual guide to install wiring. As a result, the production time increases by 25 percent. Increasing Consumer Experience: Undoubtedly today’s market is a consumer driven one. Right from designing to selling centers around how uniquely you can present your products. 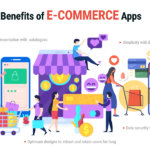 The use of emergent technologies has been adopted by different businesses to attract and retain customers. Also, AR and VR technologies help you to interact with your products. Sectors like travel, banking, automotive, retail, hospitality and consumer products use AR and VR techniques to make customers loyal and satisfied. For instance, AR and VR apps enable real estate companies to offer better views of the properties. As a result of this, customers can explore planned or existing projects from different angles. Training and Learning: AR and VR apps are making a steady foray into the training and education sector. These technologies are used by companies to enhance the core competencies of the employees by creating an immersive environment. Also in medical sectors, AR and VR apps contribute in availing different services-fixing doctor appointments, doctor consultations, tracking records of patients’ case history, sharing of prescriptions and other medical records for further treatments and diagnosis. 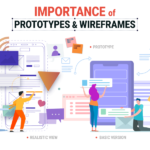 Development and Design Analysis: AR and VR apps play a crucial role in making designs attractive and innovative. For instance using AR apps can help you test your favorite products while sitting at your home. Alankar is on such app which you can use to decorate yourself with golden ornaments or jewelleries. It definitely creates an excitement among potential buyers who can engage in repeated buying if the products are found to be suitable. Conclusion: VR apps are gaining prominence and hence its applications are also getting prominent. 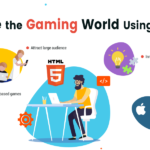 Considering the current market scenario,if you want to reach your targeted customers fast, do not think twice in approaching an established VR app development company today and realize your business objectives.